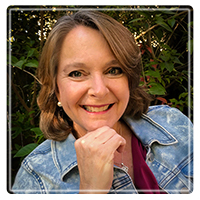 Sacramento Therapist: Catherine Zanzi - Therapist 95811. Session Fees: Ask about discounted package rate. I believe each one of us has unique strengths and abilities we can use to help us successfully navigate the difficult times. As your therapist, I will help you rediscover and enhance your own personal strengths and gifts by working with you to find unique solutions to the challenging issues you face. Feeling good requires a balance in all aspects of life. In my practice I strive to utilize effective healing strategies through the integration of mind, body, and spirit. Whenever possible I will include nature, physical health, humor, and your own sense of spirituality in our work together. I have experienced my own parent's divorce and remarriages. I have lived in blended families, and have had children of my own. I have experienced deep love, have suffered heartbreaking loss, and I know what it takes to keep a marriage and family relationships healthy. I have a unique background as a human health and sexuality educator, and worked as a credentialed science teacher prior to becoming a therapist. My areas of emphasis include marriage and premarital counseling, sexual issues counseling, parenting, grief and loss, and chronic illness. I am confident that through our work together you will find hope again and you will increase your joy in life!